Address: Deák Ferenc u. 9-11. Situated in the gate of Őrség, in the centre of Szentgotthárd, our hotel is about 600 m away from St. Gotthard Spa & Wellness. Our guests are welcome here. Our hotel offers 16 double bedrooms with spare beds if needed and 2 suites with 5-6 beds. All bedrooms are with bathroom, Telefone, Sat television and minibar. For the comfort of our guests we have lift, sauna, fitness room, TV lounge and wireless Internet access. Own car park is available. 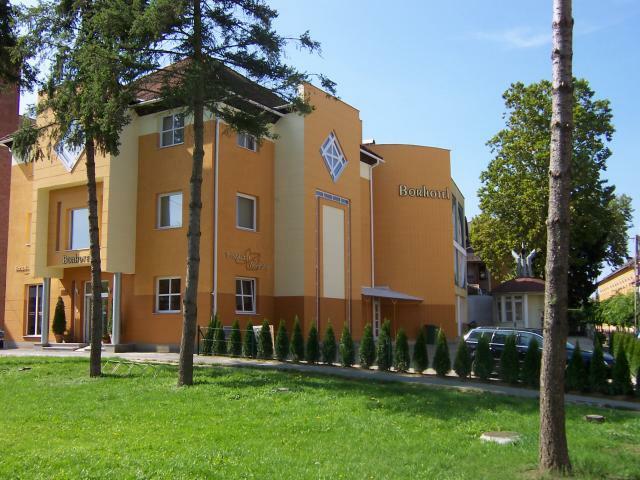 Our hotel is an ideal place for team and company meetings, refresher courses, family and friend gatherings, and it is the best starting point for trips or excursions to the Őrség, Austria and Slovenien, or skiing in Austria in winter. Temporary guests looking for transit accommodation or groups travelling by coach are also welcome because of near crossborders. There is a wine shop next to the reception where the best wine from 22 Hungarian wine regions is available.